So, when you want to introduce overseas guests to Singapore food, what do you think of? The usual street food dishes like Chicken Rice and Bak Chor Mee perhaps. But are there restaurants selling cooked à la minute Singaporean Chinese dishes, which though Chinese, is not to be confused with Hong Kong influenced eateries like Imperial Treasure or Crystal Jade? Where will you bring them if they want to eat Chinese and local? Here is where our local Cze Char eateries hold their own ground. It is an interesting SingMa phenomena. The dishes have evolved over the years, adjusting to the local palette and marrying the best of Cantonese cooking with Nonya/Malay influence. On Sunday evenings, Singaporean families will dine at such eateries commonly found at HDB void decks. 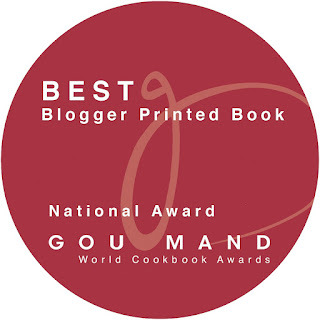 Many of the recipes on this blog share the same roots. And increasingly, some of these Cze Char stalls have "upgraded" into restaurants. One such eatery is Lai Huat Signatures, as Singaporean as it comes. I have hardly reviewed restaurants on this blog but when the request came in to review it as a "new Cze Char eatery in the heart of CBD," I thought I should give it some consideration. It is also my sister-in-law's favourite restaurant. They have been around for more than 50 years now and they are of course known for their Sambal Pomfret. There are a few family iterations of the original Lai Huat (see Leslie Tay's review of their East Coast Branch here) but with the opening of the latest outlet at China Street by one of the sons, Patrick Lim, these "heartland" comfort dishes have moved into the city. The sambal used in the signature Sambal Pomfret Fish (cover photo) is very addictive. I could taste dried shrimps and asked a few questions but obviously there was little giveaway on this family secret. It didn't taste oily and it is a sambal with a crunch. As pomfret is a flat fish with soft bones, it crisped very well when deep fried. In earlier times, white pomfret was used but due to their scarcity these days, they use the black version now. As should be the case, the plate was wiped clean as everything was edible. Strangely I find the crispy boney parts tastier than the meat. You would have eaten fish very differently if it is steamed or served in curries. I was reminded again why my sister-in-law liked to buy bottles of this. You should pair this with white rice of course. At $40 per plate, it can feed four diners. The Crispy Brinjal in Pork Floss is another dish in a class of its own. Served in a generous portion at $12, the proportion of brinjal and crispy batter is just right. The brinjal is only sliced when ordered to avoid oxidation and to keep it fresh. And so, when it gets busy, this is not an easy dish to prepare if there are many orders. Thumbs up, most definitely. Salted egg flavored Cze Char dishes has been very popular this last 10 years; here and across the Causeway. The preparation can be laborious as the egg yolk has to be steamed and prepared first. We ordered a small portion of their Salted Egg Prawns and again, it was every bit what I would expect if it is done well. The colour is a beautiful golden and you feast on it with your eyes before you crunch through every bit of it, heads, tails and all. It came in a plate of 6 fairly sizeable prawns. At $20, we thought it was very reasonable and I won't expect to pay less in a HDB joint. Patrick has also been coming up with modern desserts, such as the Fresh Mango Snow Ice, using a snow ice-making machine imported from Taiwan. It was a refreshing finish to the meal at $5.90 per bowl. 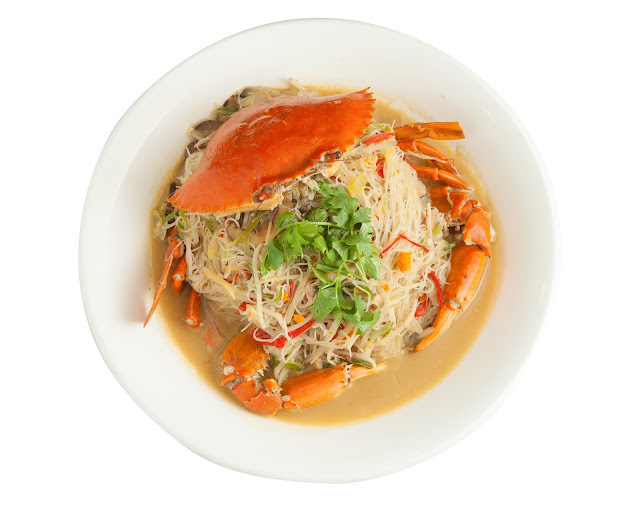 On another occasion, we also tried Lai Huat's version of Crab Bee Hoon. The dish became popular in our local Cze Char eateries at the turn of the century. Bee Hoon sponges up whatever stock you put into it and we can imagine why this has become popular. Patrick's version is soupy and comes with a rich and flavourful stock, somewhat similar to the popular White Bee Hoon. And when a fresh and empty crab shell is used, this dish is sure to please and his version did. It was better than most and we enjoyed the flavourful stock. It came at $48 per plate ( with a kilo of crab going for $58). This eatery, though new, is popular during lunch. For dinner, there is ample carpark at the China Square Carpark just next to it at $3 per entry in the evening. Should you bring foreign guests to taste a bit of Singapore in a restaurant like this? 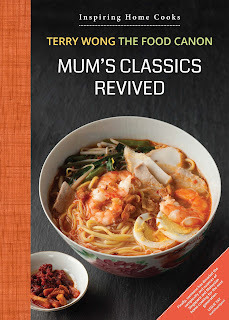 Does it serve dishes which tells a little story about the multi-cultural roots of Singapore? If you are having a family dinner in town and longing for some comfort food, is Lai Huat a good option? The answer to all three questions is a resounding yes. You can dine in air-conditioned comfort and this Lai Huat eatery is just about 20% more than HDB void deck outlets. The meal was hosted by Lai Huat Signatures.